I chose Madrid since standard Castilian Spanish is spoken there with a clear accent, unlike in Seville, for example. There are also no regional languages to contend with, such as in Barcelona. Madrid is a little more expensive than other parts of Spain, but overall I found prices for school fees, food, and accommodation to be very reasonable. Madrid ended up being a great choice. Despite being a big city, I found its inhabitants to be extremely kind and welcoming. It was easy to connect with locals and practice my Spanish. 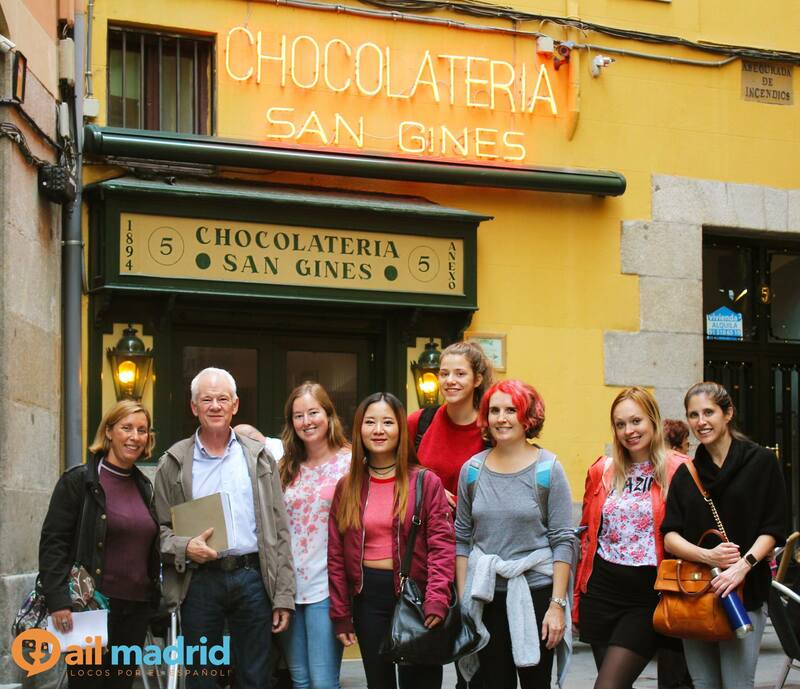 Madrid is famous for its night life and you could attend a different intercambio or social gathering via Meetup every night of the week. 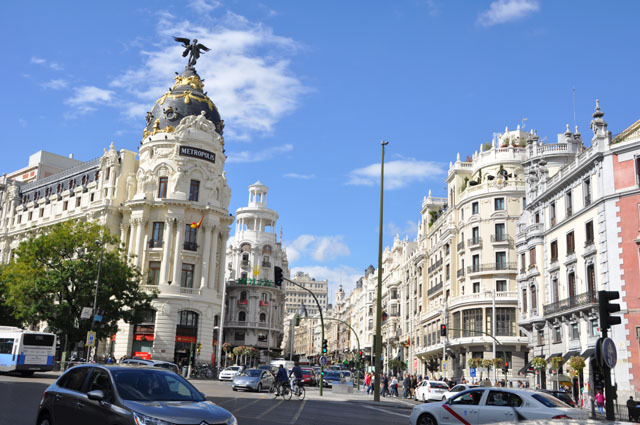 Madrid has a wealth of cultural activities and great day trips. During the week my schedule was so busy (homework and study from 9am-12pm, a quick lunch, class from 1-5pm, then an activity or workshop with the school until 7:30pm) that apart from the school’s cultural outings I only had time for sightseeing on weekends. I still have a long list of things I want to see and do in and around Madrid. I’m already planning a longer stay in future! I experienced some challenges with Spanish culture. One was the late dining schedule typical in Mediterranean and Latin countries. As someone who likes to eat early I struggle with the fact that lunch is typically served from 2-4pm and dinner from 9-10pm. Being in an Airbnb was a big help since I was often able to purchase takeout or prepare my own meals and stick to an earlier eating schedule. Madrid has a reputation for being a loud city. Its lively nightlife can mean lots of noise late at night on weekends. Even during the week, I found it hard to sleep before midnight. Fortunately, I was able to adjust my sleep schedule since my classes didn’t start till 1pm. I scoured online discussion forms and review sites like TripAdvisor to find possible schools. I chose AIL Madrid because of their excellent reviews and because I liked the school’s philosophy. AIL Madrid also stood out for offering daily activities and for its unique policy of making up missed class time due to frequent Spanish public holidays. After contacting the school, I emailed with one of the advisors, Dora. We scheduled a Skype call to discuss my questions, and she was very helpful in addressing all my concerns. Next, I proceeded with the booking, paying a €200 down payment via credit card. The school offers family homestays, but I decided to stay in an Airbnb for increased flexibility and privacy. With Airbnb you still stay with locals and have the opportunity to speak Spanish, but with the ability to prepare your own food and do your own laundry. I found an excellent room in Salamanca not far from the school for a very reasonable price (US$24 a night after weekly discount). Bakery across the street from my Airbnb. I spent way too much time here. AIL Madrid is known for the quality of its teachers, and all the instructors I met were outstanding. 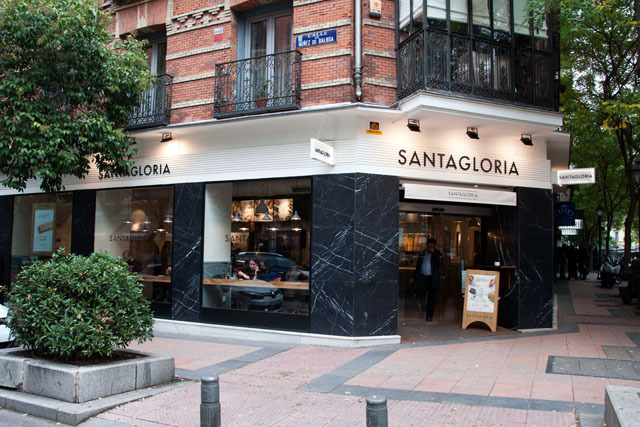 The school has three locations in Barrio de Salamanca, Madrid’s swankiest neighborhood. I attended classes at two of the sites and they were both comfortable and attractive. I opted for the intensive course with four hours of class daily plus a half-hour break, followed by an optional activity. The B2 class I started in, while excellently taught, turned out to be not challenging enough, so I asked to be moved to C1. Although the school did not currently have a C1 class, they opened a new section the following week to accommodate me and some other students who had expressed interest. I really appreciated their flexibility and responsiveness. As an advanced learner, I found the C1 class much more rewarding and challenging. I loved that the student body was so international; in my two weeks there I met students from two dozen countries in Europe, the Middle East, and Asia. The majority of the students were in their 20s, but there were enough older students that as a 44-year-old I felt comfortable. Everyone, students and staff, was unfailingly friendly and welcoming and I never felt out of place because of my age. The daily activities offered by AIL Madrid were an important factor in my choice. Monday through Thursday there are two cultural excursions and two workshops that take place at the school. 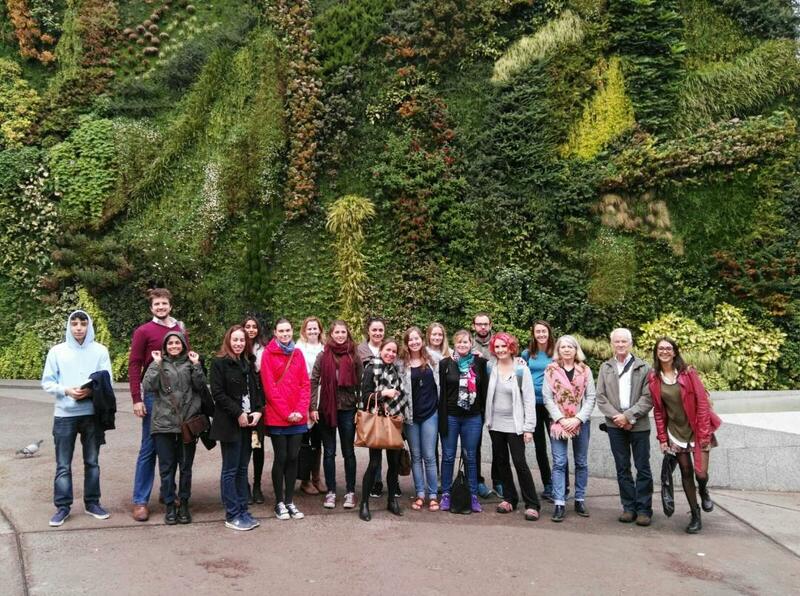 The cultural excursions were always well-organized and fun and the workshops had interesting interactive topics like how to argue in Spanish. Friday is bar night, and every weekend there is a paid excursion outside Madrid organized by an outside tour agency. I didn’t do any of the paid tours though as they were expensive compared to going on your own, and I generally prefer to sightsee independently. Visiting CaixaForum museum. Photo courtesy of AIL Madrid. Visiting the most famous chocolatería in Madrid. Photo courtesy of AIL Madrid. Enjoying porras and chocolate. Photo courtesy of AIL Madrid. Teachers and students hanging out. Photo courtesy of AIL Madrid. Welcome tapas evening. Photo courtesy of AIL Madrid. Croquetas… ¡qué rico! Photo courtesy of AIL Madrid. My first week in Madrid I arrived after group classes had already started, so when I booked my classes five months in advance I decided to take four private lessons the first week. However, in the meantime I started online classes with other Spanish tutors and didn’t need the private lessons anymore, so I tried to cancel them with four weeks’ notice. However, the school informed me that to cancel, according to their policy I would forfeit €100 of my down payment. I understand of course that the school must protect itself from arbitrary cancellations, but I found this lack of flexibility a little frustrating since I had given four weeks’ notice and was still planning on taking the two weeks of group classes I had scheduled. My expectations may also have been shaped by the small school in Mexico I attended previously that was always extremely flexible and accommodating. To avoid frustration, I would recommend waiting to book any classes, private or group, until you are absolutely sure you plan to go forward. Having fallen in love with Madrid I definitely plan to return. If AIL Madrid has a C1 section available I would definitely consider taking classes there again. Apart from the excellent instruction, I really enjoyed the school’s friendly atmosphere and the many extracurricular activities. Despite the social advantages of group classes, however, I’ve found private lessons to be much more effective and time-efficient. Unfortunately, private lessons at language schools in Spain are quite costly compared with the rates on sites like italki. 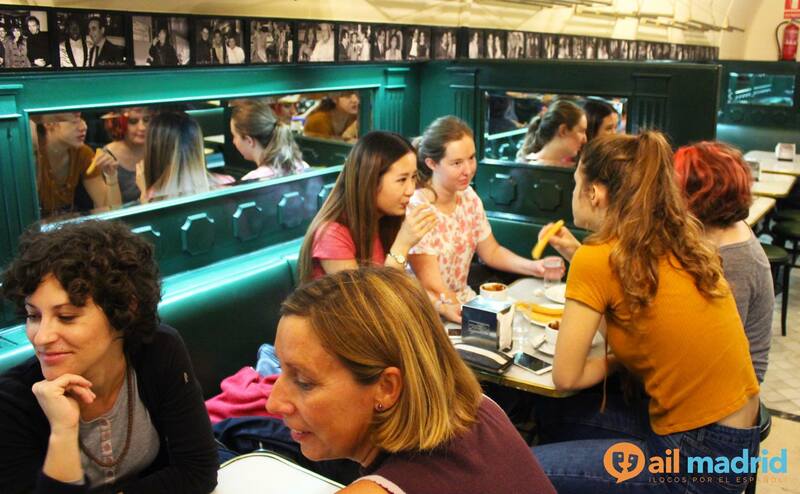 Rather than take group classes at a school, on my next visit I might seek out less expensive private tutors through other channels and in the evenings attend the many language intercambios occurring nightly in Madrid. Note: I never accept compensation or freebies for my writing. If I recommend a business, it’s because I loved them and think you will too. 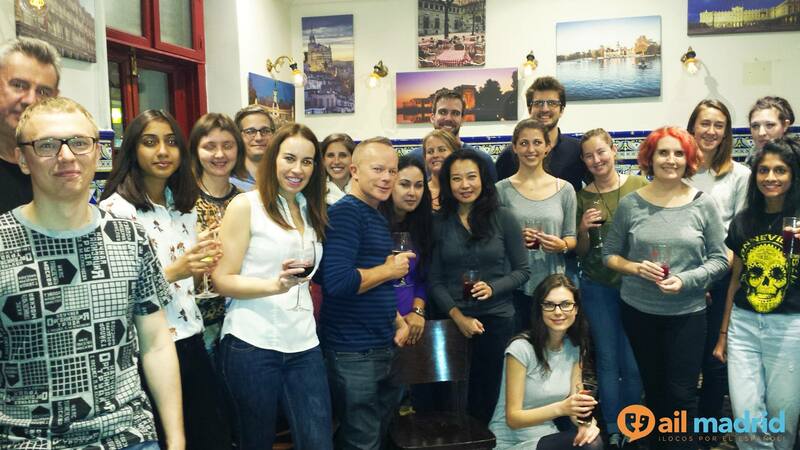 Have questions about studying Spanish in Spain or a Spanish school recommendation? Please share your feedback in the comments. Really enjoyed reading about your daily life in Madrid. I appreciate firsthand accounts and you gave me some useful food-for-travel-thought. Thanks for stopping by, Rainier! I love firsthand accounts too. I really enjoyed reading about your experience in Madrid. After my own research, I have also found private lessons through language schools in Madrid to be very pricey. Have you found any avenues to find more affordable tutors? If you find some resources on how to find them, please share. Thank you! Hi Courtney, so glad you found it helpful. Agree that private lessons through a school are very pricey; I guess because the school takes its cut. Before my trip, I found several excellent conversation tutors throughout Spain on iTalki for less than US$10 an hour. I haven’t found any good online listings of teachers for Madrid, although I do remember seeing flyers for private Spanish lessons for about €10/hour on public bulletin boards. 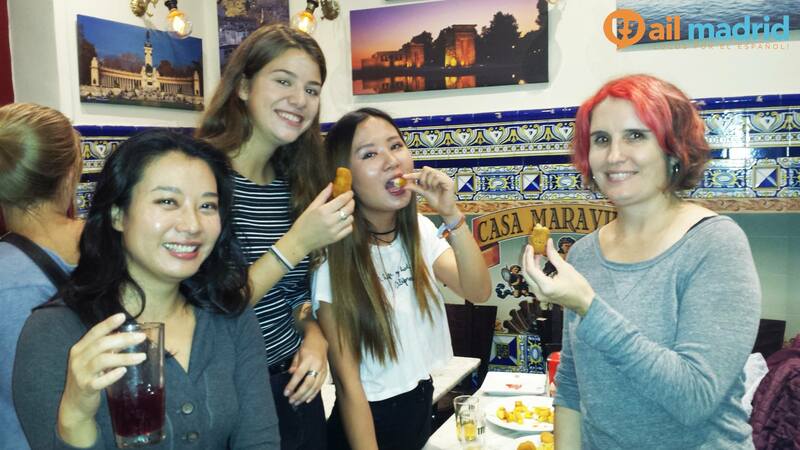 I would recommend joining a few Madrid expat groups on Facebook like this one: https://www.facebook.com/groups/MadridExpats/ and searching for posts on language tutoring, or posting a request for recommendations. Maybe you could do a mix of online and in-person tutoring while you are there? Buena suerte and would love to hear how you get on! Thanks for the helpful review and information. Here’s a site for Spain-based tutors, many of whom offer lessons both in-person and by Skype. I have had mixed results getting responses so far. Unlike Italki, there do not seem to be any fees imposed by the website. Very interesting your post. I’m from Paris and I’ve been living in Madrid for 6 months, I’m studying at the university. I recommend the following website https://teachapp.es/ to find Spanish teachers. I have found a very good teacher for 9€/hour and you can also advertise to give private lessons of English, I think it is the most used mobile application in madrid. Mil gracias, Anthony; I think this information will be of great help to readers. Suerte con tu aprendizaje, y saludos!